Love eating out but too lazy to go out and eat? Don’t worry. We will save you hassle and money. Order from your favorite restaurant on UberEats and get flat 50% off (up to Rs 75) on minimum order value of Rs 75. Also, discount will be applied on all the orders i.e. unlimited orders at half the rate. So, what are you waiting for? Order now. Note : Code is working on selected restaurants in selected cities only. How to Get flat 50% off (up to Rs 75) on minimum order value of Rs 75? 1. Download UberEats App from here – Android | iOS. Love eating out but too lazy to go out and eat? Don’t worry. We will save you hassle and money. Order from your favorite restaurant on UberEats and get flat 50% off (up to Rs 100) on minimum order value of Rs 70. Also, discount will be applied on all the orders i.e. unlimited orders at half price. So, what are you waiting for? Order now. How to Get flat 50% off (up to Rs 100) on minimum order value of Rs 70? Love CCD? Now, order your favorite coffee from your home at ease that too on discount. We will save you hassle and money. Order from CCD on UberEats and get 50% off (up to Rs 150) on Cafe Coffee Day orders. Order now. How to Get 50% off (up to Rs 150) on Cafe Coffee Day orders? Cook didn’t come or not in mood of home cooked food but too lazy to go out and eat? Don’t worry. We will save you hassle and money. Order from your favorite restaurant on UberEats and get flat 50% off (up to Rs 100) on first 2 food orders. Order now and make your evening better. How to Get flat 50% off (up to Rs 100) on first 2 food orders? Never used UberEats before? Now is the time. Get flat Rs 75 off on first 2 orders worth Rs 150 or more on ordering from your beloved restaurant from UberEats. Enjoy your favorite meal on discount only with AllTrickz. How to Get flat Rs 75 off on first 2 orders worth Rs 150 or more? 1. 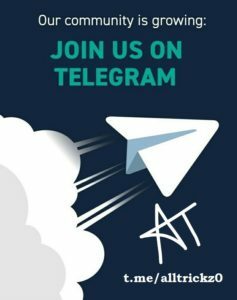 First of all, Visit Offer Page and pick the offer for free. 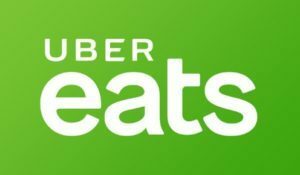 UberEats Offer – UberEats has been providing offers/discount more frequently now. For new users of UberEats, get 50% off upto Rs.100 on 1st five orders. So order now and enjoy your food at discounted price. How to Avail the UberEats offer?